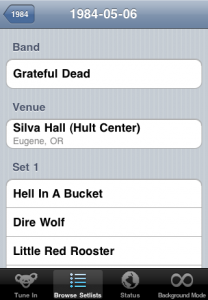 I have recently begun to work with mobile technology, specifically iPhone apps and mobile HTML. 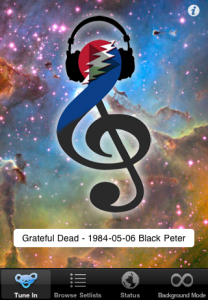 In the future I hope to develop on the Android platform as well. 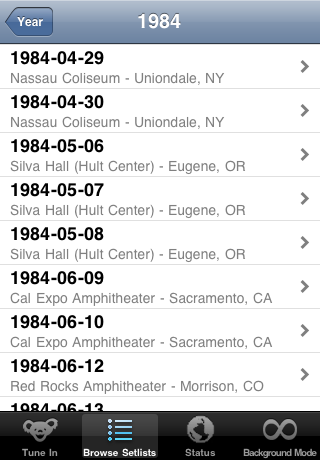 These are some of my current apps which can be downloaded from the Apple Mobile App Store. 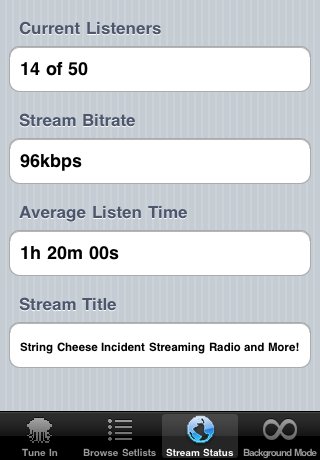 This is the String Cheese Radio (CheeseFM) official iPhone app. 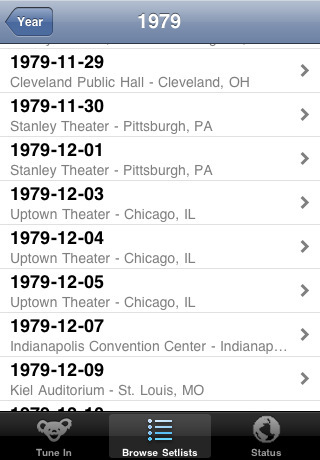 This was my first app which I published to the app store (free). 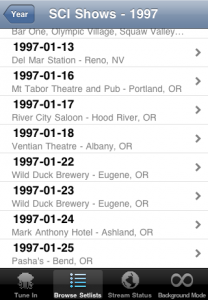 The app was designed and coded entirely on my own. 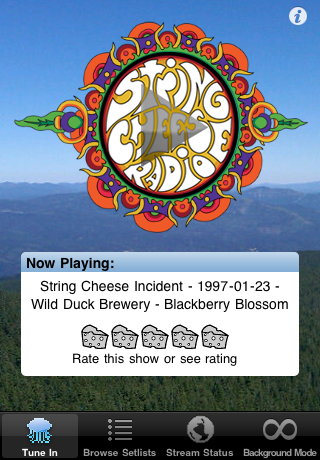 The first tab window enables the user to tune in to the 24/7 radio stream on String Cheese Radio, view the currently playing song info, and rate the currently playing concert. 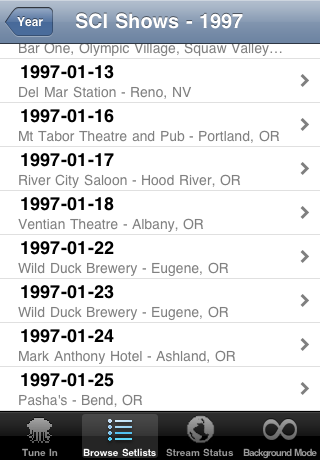 The second tab contains an interface for browsing a complete list of every show performed by the band: The String Cheese Incident. 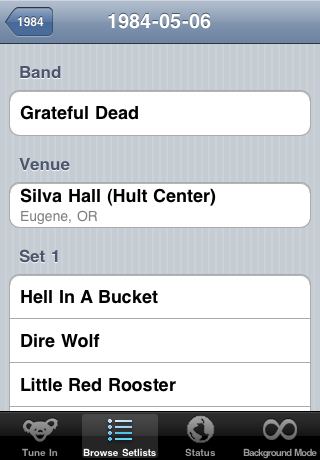 The list contains set lists for each show as well as date and information about the venue. 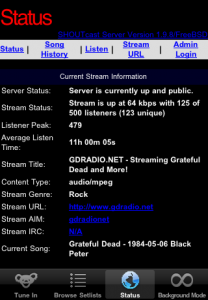 The third tab displays information about the radio server including current listener count, average listener time, and stream bitrate. The final tab toggles background streaming, allowing the listener to use other apps while still listening to the radio stream. The GDRadio app was my second app to be published in the app store ($0.99). 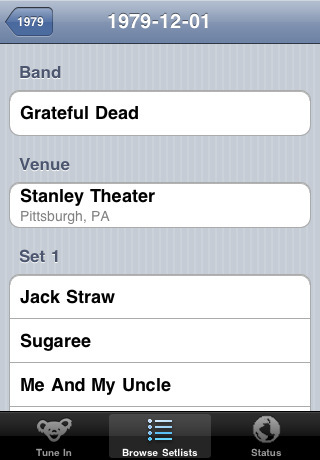 The app was created for GDRadio.net a website which streams 24/7 live Grateful Dead concerts. This website was a huge inspiration for me to create String Cheese Radio. 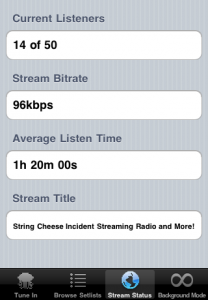 I created this app using the same codebase as my String Cheese Radio app. 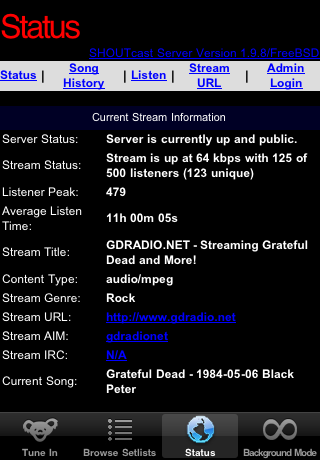 Graphics and design were customized to fit the aesthetic of GDRadio. 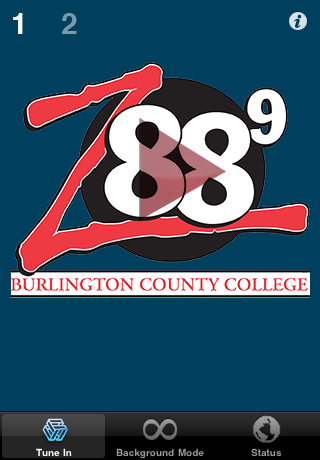 I created this app for the Burlington County College radio network: z88.9. 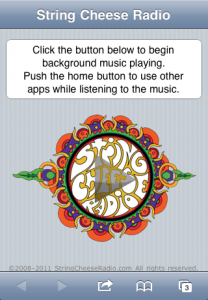 Their station has two broadcasts and the app supports listening to both streams, as well as background streaming.